Since September 2014, the US and some Arab States have conducted air strikes against Islamic State (IS) in Syria. They have recently been joined by some Western States, including the UK, Canada, Australia and France. The justification given by those States and the US for their military operations in Syria is based on the right of self-defense, enshrined in Article 51 of the UN Charter. Such justification has been contested by some scholars. Yet, this does not mean those air strikes should be considered unlawful. It is argued that they could be justified by the “passive consent” of Syria. Contrary to their reaction to air strikes conducted by States such as Turkey, Syrian authorities did not formally oppose air strikes by the US-led coalition after they occurred – although some limited objections have been formulated in the media. The Assad regime even seems to have welcomed this international effort to fight against IS and expressed its readiness to cooperate with such effort. As a result, although consent has never been expressly given by the Assad regime to the US-led coalition’s airstrikes, the absence of protest by this regime could be interpreted as “passive consent” thereto. Such interpretation could find some support in the DRC v. Uganda case (para. 46), in which the ICJ inferred the DRC’s consent to the presence of Uganda troops on its soil from the absence of any objection to such presence. Yet, regardless whether “passive consent” is a valid legal basis for justifying the airstrikes conducted by the US-led coalition against IS in Syria, such legal basis seems now to be in great trouble. Indeed, the Assad regime recently sent two letters, one dated 16 September and the other one dated 17 September 2015, in which it contests the intervening states’ interpretation of Article 51 of the UN Charter. In the second letter, it officially warns that “[i]f any State invokes the excuse of counter-terrorism in order to be present on Syrian territory without the consent of the Syrian Government whether on the country’s land or in its airspace or territorial waters, its action shall be considered a violation of Syrian sovereignty”. Two arguments could be invoked in order to maintain that “passive consent” nonetheless remains a possible legal justification. First, opposition to the airstrikes only comes from the Assad regime and not from the Syrian National Coalition (SNC), which is actually in favour of these airstrikes. However, the SNC is far from being universally recognized as the only legitimate government of Syria, whose consent would be enough to justify any invited use of force on the Syrian territory. Second, it could be argued that the Assad regime’s attitude is basically similar to the one adopted by the Pakistani authorities regarding the US drone strikes in Pakistan, which used to criticize those strikes publicly while secretly cooperating with the US and therefore tacitly agreeing to – at least some of – the US military operations. Yet, in the Syrian case, besides the fact that any cooperation between the US-led coalition and Assad regime must still be proven, protest has been formulated by the latter in such general and official terms, in the two aforementioned letters addressed to the UNSC, that it would be difficult not to consider them as expressing its true legal position. Should one therefore consider the airstrikes which are still conducted by the US-led coalition in Syria as amounting to an armed attack, and Syria as having the right to respond to it in self-defence? This in turn raises the question of the validity of the legal argument officially invoked by the US and the other Western States in order to justify their military intervention in Syria, i.e. the right of self-defence. Such question therefore appears as very critical. While the argument of individual self-defence, as recently and quite surprisingly invoked by the UK for justifying a specific military operation in Syria, can hardly be admitted, the same cannot be said with respect to the argument of collective self-defence, which all the intervening States (including the UK) have (also) invoked. It is a fact that Iraq is the object of ongoing armed attacks by IS from Syria and has requested other States to help it to defend itself against such attacks. It is increasingly admitted that private armed attacks, i.e. attacks committed by non-State actors in which no State is substantially involved, may amount to an armed attack in the sense of Article 51 of the UN Charter and trigger the right of self-defence of the victim State. In the Syrian case, no objection has been raised on this point. However, the justification invoked by the intervening States is not without concern. This is not so much because of the controversial status of the unwilling or unable test that some of those States, including the US, Canada and Australia, have referred to in their justification, when they argued that self-defence was permissible because Assad was unwilling or unable to prevent IS from launching attacks against Iraq from Syrian territory. It is true that the existence of this test under international law remains contested in legal literature, notably because it is sometimes conceived as amounting itself to an “exception to international law’s cardinal prohibition on the use of force”, which would authorize the undertaking of any action in self-defence not normally allowed under the classical conception of the law of self-defence. Yet, it has not been rejected as such in the Syrian case, neither by Syria in its formal complaints submitted to the UNSC, nor by any other States. In addition and more fundamentally, one may arguably support, in line with some scholars, that such a test is merely part of the much broader and well-established condition of necessity of that law, which requires, in one of its main aspects, that self-defence be undertaken as a last resort, when there is no other reasonably available means for the victim State to protect itself against an armed attack. Indeed, relying on the (military) action of the State from whose territory private armed attacks originate, i.e. the territorial State, in order to stop those attacks appears as one of the best alternative means for the victim State to protect itself against such attacks. In that sense, the unavailability of this means, because of the unwillingness or inability of the territorial State to tackle the attacks, increases the necessity of the action in self-defence. The main concern rather stems from the fact that the intervening States refuse to cooperate with the Assad regime to fight against IS in Syria although this regime proposed such cooperation. This problem is particularly difficult to disentangle in clear legal terms not only because of the lack of any detailed justification by the intervening States on such refusal but also because of the lack of any clear guidance under the law of self-defence on such issue. This issue may be first addressed in relation to the aforementioned unwilling or unable test. Disagreements may indeed arise on whether this test is satisfied in a particular case, precisely because of the absence of any more specific criteria for assessing its fulfillment. As a result, the intervening States may consider (as some do) that the Assad regime is in fact unwilling to tackle the attacks committed by IS, despite its offer to cooperate and its effort to show, notably in its second aforementioned letter sent to the UNSC, that any allegation of unwillingness is totally unfounded. However, the issue should rather be addressed in relation to the aforementioned general condition of necessity in the more arguable case in which it is established or the intervening States consider that the Assad regime is in fact willing but still unable to stop attack by IS from being launched from Syrian territory. Although the unwilling or unable test would be satisfied in such a case, this would not be enough to justify any action in self-defence. According to the condition of necessity, that the test is only a part thereof, the victim State must have considered the (other) reasonable alternatives at its disposal in order to protect itself, especially any cooperation with the territorial State if the latter is only unable but not unwilling to prevent the private armed attacks being launched from its territory. The Assad regime’s offer to cooperate would therefore appear as a promising alternative to self-defence for protecting Iraq against IS. Yet, the problematic question is whether such a means may be considered as “reasonably available”. Again, it is difficult to provide any precise answer to that question given the absence of any clear criteria provided under the law of self-defence in this respect. Although purely political reasons could hardly justify not seeking the consent of the territorial State, it is important to note that the military measures adopted in the framework of the Syrian consent would be dependent upon the conditions laid down by the Assad regime. As formally stated in the second aforementioned letter addressed to the UNSC, “[c]ombatting terrorism on Syrian territory requires close cooperation and coordination with the Syrian Government in accordance with the counter-terrorism resolutions of the Security Council”. One may wonder if such a “close” coordination does not make the Syrian consent a reasonably unavailable or ineffective means at the disposal of the intervening States for protecting Iraq. This could indeed limit the ability of the intervening States, possibly acting under the direction of the Assad regime, to take the necessary measures to protect Iraq against the attacks from IS. Moreover, in case of cooperation regarding intelligence information, this could be abused by the Assad regime, enabling it to pursue objectives such as weakening the rebel opposition groups which it also considers as terrorists. That having been said, no such elaborated explanation has been given by any of the intervening States. In addition, things have got even more complicated these last days. Although it seems difficult to deny that, at least until recently, the Assad regime has proved unable to prevent IS from using Syrian territory in order to launch attacks on Iraq, its new cooperation with foreign States, mainly Russia, could lead to another conclusion on this ability test and, as a consequence, on the necessity of any action in self-defence in Syria. It is not an accident that the formal protests were formulated by the Assad regime just before it started its cooperation with Russia. Thanks for this interesting post. I would focus on the fact that Syria is not being attacked, ISIS is being hit in responsive collective self-defense. It is well accepted today that NSA armed attacks emanating from a State (Syria) can trigger a right self- or collective self-defense against the NSA armed attacks. See, e.g., Operationalizing Use of Drones Against Non-State Terrorist Under the International Law of Self-Defense, http://ssrn.com/abstract=2459649 , also addressing ISIS at 170 n.7. As documented there and in other writings cited, there is no reason to obtain Syrian consent (express or tacit), there is no reason to demonstrate that the Assad regime is unwilling or unable to control Syrian territory (but, of course, it cannot), and there is no requirement that ISIS armed attacks be imputed to the Assad regime under the “substantial involvement” test (which, of course, would not be met). Thanks for this post, Raphaël. To support your argument, I would add that, as far as I know (and at least in the second letter you cite), Syria only protested against the military strikes launched by 3 States: the UK, France and Australia. A contrario, it did not protest against the US and some other States. However, could you specify the exact reference of the first letter? The links don’t work, actually. Olivier: it does not matter whether 2(4) is triggered b/c 51 allows self- and collective self-defense against NSA armed attacks (even before and ever since the famous Caroline incident involving UK claims to engage NSAs in the U.S. even though there was no imputation to the US, no war between the US and UK, etc. The claim to engage a shore battery firing across the border and killing UK soldiers in Canada was a pertinent example. 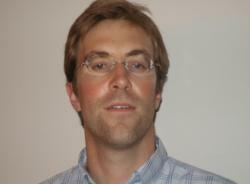 Prof. Corten, you suggest it is not “well-accepted” that an armed attack by a nonstate actor on State X, not attributable in any strong sense to the State Y, can be the basis for a necessary and proportional use of force in self-defense of State X against the NSA in State Y (e.g., the current actions of many states in Syria in collective defense of Iraq). Yet as far as I know, both the U.N. Security Council (see Res. 1368) and every state that has spoken to the matter (or used force against such NSAs in the territory of nonresponsible states where the NSA has secured safe haven) has accepted that view, and–again, as far as I know–no state has rejected it, including, in this case, Syria itself, whose complaint is fairly read as addressed simply to whether such use of force by the UK, et al., is necessary in light of Syria’s own responses to ISIL. Accepting this view does not mean, of course, that the armed attack by the NSA can justify a full-fledged attack on the forces or population of the host state–that would hardly be proportional. But such a use of force in self-defense can be permissible under Art. 51 (on this view) if it is necessary (e.g., when the host state is unable to adequately prevent further armed attacks from its territory) and if it is sufficiently tailored to the threat posed by the NSA. I realize that many scholars and publicists over the years — such as yourself and Roberto Ago — have argued that Article 51 does not extend to such cases. But have any states adopted or advanced your view? Thanks for your comments and views on the post. @ Jordan. I really believe that it is increasingly accepted that private armed attacks (attacks in which no State is substantially involved) may trigger the right of self-defence under Art. 51 of the UN Charter. At least, in the Syrian case, it is not contested by any State that attacks by IS amount to an armed attack in the meaning of Art. 51. However, I also really believe that it is not enough for justifying an action in self-defence in response to those attacks. Such action must also fulfill the well-established condition of necessity which requires that self-defence be undertaken as a last resort, when there is no other reasonably available means for the victim State to protect itself against an armed attack. Such condition is particularly important in cases of reactions in self-defence to private armed attacks. Since such actions take place on the territory of a(nother) State (otherwise the argument of self-defence would not be needed), it should be established that it was not possible to rely on the action of this State or to obtain its consent or cooperate with its police/military forces in order to stop the private armed attacks from being launched from its territory. In other words, the action of the territorial State, its consent or any cooperation with it could be seen as possible alternatives to the action in self-defence in accordance with the aforementioned condition of necessity. The main issue is whether, in a particular case, like in Syria, such alternatives are “reasonably available” in order to put an end to the private armed attacks. This is a very delicate issue because of the grey zone left in that area by the law of self-defence as it stands today. @ Olivier. The exact reference of the first letter is UN Doc S/2015/718. In this letter, Syria expressly mentions the United States, in addition to UK, France, Australia and Belgium. More precisely, it “reiterates that the United Nations must take a comprehensive approach to counter-terrorism and eschew the sophistry that was recently deployed by certain States, including the United Kingdom, the United States, France, Australia and Belgium in order to mount an assault on the Charter of the United Nations […]” – the French version indicating in slightly different terms that Syria “rappelle que l’ONU doit appliquer une démarche globale dans la lutte contre le terrorisme, en accord avec le droit international et la Charte des Nations Unies, et écarter toute interprétation comme celles suggérées récemment par certains États dont le Royaume-Uni, les États-Unis, la France, l’Australie et la Belgique, dans le but de porter atteinte à la Charte”. Although the letter refers to sophistry “recently” deployed – which is quite curious as the US self-defence argument dates back to 23 September 2014 –, it seems difficult to determine until when exactly the airstrikes conducted by the US–led coalition could have arguably been justified by the passive consent of Syria before its formal protests. That having been said, it is clear that, since such protests (in particular the one contained in the second letter), any airstrike in Syria would be illegal if not consented by the Assad regime. This implicitly but clearly refers to any military action taken by any of the States taking part to the US-led coalition. Raphael: Necessity is met once Iraq is under a process of attack over time. I have not heard it argued that a response to each attack among continual armed attacks must be “necessary,” but it would seem that the continual armed attacks by ISIS would meet that concern — I like to use a movie camera instead of a single snapshot. Should other efforts to end the war also be pursued? sure, and I hope for the sake of the people of Syria that they will ultimately be successful. As we all know, the human suffering has been significant. Thanks Jordan for your quick reaction. Things would be different if the continuous attacks against Iraq were committed by the Syrian army. The necessity of an action in self-defence by Iraq to repel such attacks would be met because Iraq would be under the process of an armed attack and could not of course rely on Syria to stop this attack. However, the situation is very different here. Attacks are committed by non-State actors from Syria and the latter is (or at least seems to be) willing to fight against such actors. It even offered other States to cooperate with it in order to put an end to those attacks. The necessity of a reaction in self-defence is less obvious in this case as the consent of Syria and/or any cooperation with it in order to fight against IS appear as possible alternatives to self-defence – or at least the issue should be raised and discussed. This is the reason why I argue that the condition of necessity plays a particular role in cases of reactions in self-defence to private armed attacks. Would your respective rationales also apply to the recent use of force by the Turkish armed forces against the PKK inside Iraq? Please bear in mind that (a) unlike ISIL, the PKK is not widely recognized as a terrorist organization; and (b) while Iraq strongly protested Turkish use of force against the PKK in Iraqi territory in 2012, Iraq seems to keep silent on the latest armed attack by Turkey. Thanks Raphael. It seems that, in the letter you mention (2015/718), Syria does not denounce the strikes against ISIS without its consent. It rather denounces (as it did in dozens other letters before) the support given by many States to the (other) rebels (“Army of Mujahidin, the Badr Martyrs’ Brigade, the Nusrah Front, …”. I think that is very different from the second letter (2015/719) in which Syria specifically condemns Australia, France and the UK (but not the other States) for their military strikes against ISIS on the Syrian territory. @Marty Lederman. Thanks for having associated me with Roberto Ago, I take it as a compliment. SC Resolution 1368 (in its preamble…) only mentions the applicability of self-defence when acts of military force (possibly perpetrated by private actors) are serious enough be considered as an act of war. This is perfectly compatible with the classical definition of agression (GA Res 3314, Art. 3g). Concerning the position of States, it would be too long to cite every State which denounced the possibility to bomb or attack the territory of a State for the sole pretext of fighting terrorists. See for example, in addition to many general statements (e.g. NAM, 16th Summit of Heads of State or Government, Final Document, August 2012, par. 28.2), the position taken by the NAM concerning the Israeli intervention in Lebanon (S/2006/780, par. 142ff). @ Olivier, I perfectly agree with you that the two letters are very different. In the second letter, Syria clearly protested against the airstrikes conducted by some States, i.e. the UK, Australia and France. The first letter is more ambiguous. It is true that (part of) the language in this letter is the same as the one used in the numerous letters sent by Syria to the UNSC, in which it denounced the support given by foreign States to some rebels. Indeed, in this letter, Syria “once again calls on the Security Council to take deterrent action against the terrorist groups and those States that support and fund them”. However, as I already mentioned in my previous comment on this letter, Syria also expressly “reiterates that the United Nations must take a comprehensive approach to counter-terrorism and eschew the sophistry that was recently deployed by certain States, including the United Kingdom, the United States, France, Australia and Belgium in order to mount an assault on the Charter of the United Nations”. There are two puzzling elements which suggest that Syria actually criticizes the self-defence argument which has been invoked by the aforementioned States and which constitutes the legal basis for justifying their (possible) airstrikes in Syria. The first element is that the letter refers to the sophistry “recently” deployed, i.e. in the French version to the “interprétation récemment suggérée”. No new argument/interpretation seems to have been invoked by the States mentioned in the letter in order to justify their support to some rebels in Syria. In contrast, some of them have recently invoked the right of self-defence to justify their airstrikes against ISIS in Syria. The second element is that Belgium is mentioned among those States although, as far as I know, Belgium does not ‘officially’ support any rebel group in Syria. In addition, Belgium has never been expressly mentioned in the previous Syrian letters condemning foreign support given to rebels in Syria. The plausible reason why Belgium is mentioned is that it stated in the beginning of September 2015 (through its Minister of Foreign Affairs and Defense Minister) that it could launch military operations in Syria, even without any UNSC authorization, on the basis of Article 51 of the UN Charter. Then, again, when referring to the “sophistry recently deployed”, Syria seems to indirectly refer to the argument of self-defence. But, I entirely admit that all of this is not clear. Syria may have even wrongly considered or presented this argument as an alleged new basis invoked by the abovementioned States in order to justify their (possible) support to some rebels on the Syrian territory. That having been said, my point in this post is less to establish whether the airstrikes conducted by the US-led coalition could be justified on the basis of the passive consent of Syria before its complaints to the UNSC, than to show that such potential argument could hardly be supported after such complaints and that the argument of self-defence therefore becomes decisive. @ Kriangsak : in contrast to the ISIS case, one of the main issues in that case is whether the attacks by PKK may be considered as amounting to an armed attack under Article 51 of the UN Charter. In my view, the fact that PKK is not universally qualified as a terrorist organization does not seem relevant with respect to the law of self-defence. Private armed attacks originate from non-state actors, irrespective of their qualification as terrorists. This may have an impact on the legality of interventions by invitation, which is not the case here. This is a much more film statement: “The United States, Britain, France, Canada and Australia have sought to justify their intervention in Syria by citing the fight against ISIL. They have invoked Article 51 of the Charter of the United Nations, but have not consulted with the Syrian Government. That course of action distorts the provisions of the Charter and manipulates international law. Such an assault on Syrian sovereignty will merely give terrorism a freer hand. The only productive way to combat terrorism remains the establishment of an effective international coalition within the framework of international law and with the participation of concerned States, particularly Syria, which is the main party confronting terrorism in the region” (Identical letters dated 21 September 2015 from the Permanent Representative of the Syrian Arab Republic to the United Nations addressed to the Secretary-General and the President of the Security Council, A/70/385–S/2015/727). @ Olivier. Many thanks for informing us about this new additional Syrian letter. This letter confirms that the Syrian protest against the airstrikes in Syria, justified on the basis of Article 51 of the UN Charter, also concerned the United States, in addition to the UK, France, Australia and Canada – the latter being mentioned for the first time. To sum up, in the first letter (S/2015/718), such protest was already formulated against the same States (except Canada), but in an implicit/ambiguous manner as it could only be inferred from elements such as the fact that the letter uses the expression “sophistry recently deployed” and includes Belgium among the criticized States (cf. my previous comment). In the second letter (S/2015/719), the protest was clear but concerned only the UK, France and Australia. In the third letter (S/2015/727), the protest is also clear but explicitly extends to the United States and Canada (Belgium is no longer mentioned as the letter refers to the interventions undertaken by those States and Belgium has not decided yet to intervene although it stated that it could under Article 51 of the UN Charter). Moreover, it is interesting to note that the protest formulated in the third letter (S/2015/727) appears, like in the first letter (S/2015/718), at the end of a series of criticisms made by the Syrian regime about alleged support given by foreign States (including Western States) to what the regime considers as terrorists. This seems to reinforce my interpretation (cf. my previous comment) that the reference made in the first letter to the “sophistry recently deployed” by some Western States implicitly but certainly concerns the self-defence argument invoked by those States to justify their airstrikes in Syria, although this letter mainly contain criticisms about the alleged support given by foreign States to rebels in Syria – and not the airstrikes. That having been said, as I already mentioned, it may be difficult to determine until when exactly the airstrikes conducted by the US-led coalition, especially by the United States, could have arguably been justified by the passive consent of Syria before its formal protests. Syria only formally protested against those airstrikes in September 2015, although the US already started bombing in Syria in September 2014. Regarding the first letter, I still believe that it contains a(n implicit) Syrian protest against the self-defence argument invoked by several Western States, given the two elements I mentioned in my previous comment and the comparison which may be made with the third letter. I think that the three letters can be taken together. However, as you said, it does not matter any longer since the protest is explicit in the third letter. Moreover, I agree that the Syrian precedent is difficult to interpret as the intervening States did not give more details of the legal justification for their intervention, in particular of their refusal to cooperate with the Syrian regime.